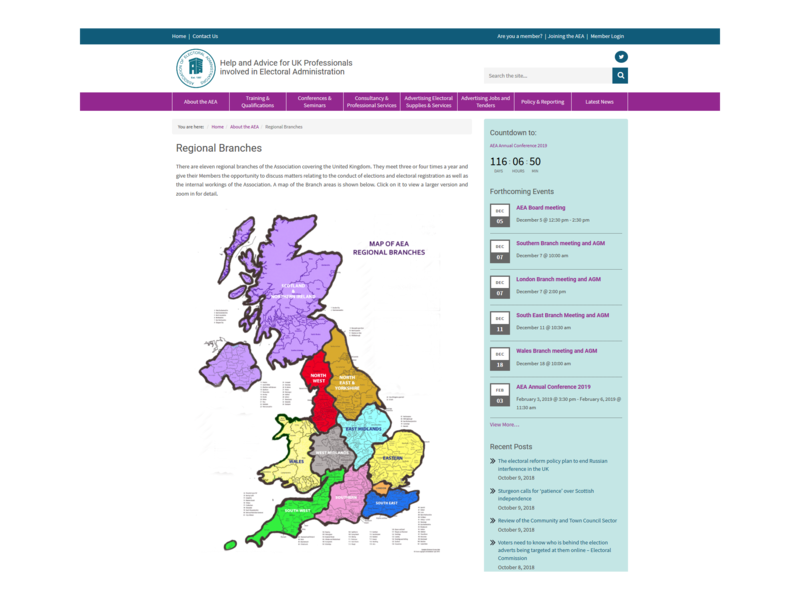 We have been working with the Association of Electoral Administrators for over 5 years on both their website, and most recently, their new intranet. AEA is the world’s first organisation representing election professionals, offering help and advice for those involved in election administration. When they came to us, AEA sought a complete reimaging of their digital presence. 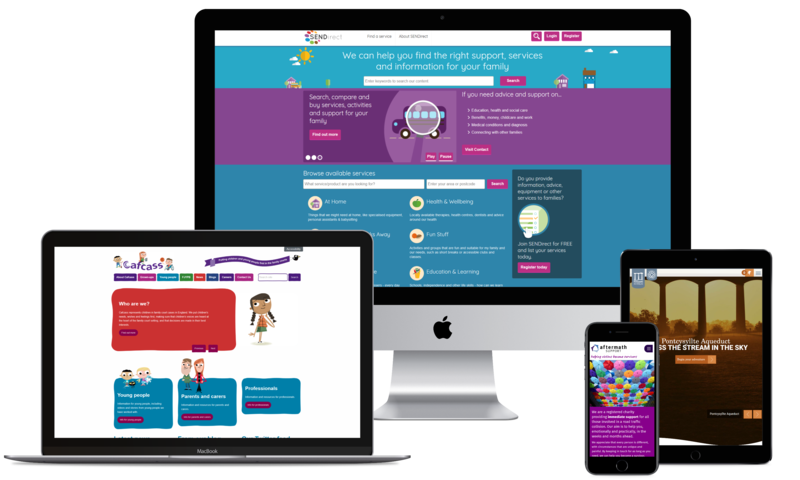 Their new website was to act as a primary interface and conduit for communicating and engaging with the Association’s members throughout the UK. We originally delivered the site to AEA in 2015, and it continues to develop organically, introducing features and enhancements that encourage exploration and engagement. The mobile-friendly site is incredibly easy for the team to manage, technically future-proof and facilitates the delivery of AEA’s online activity. Broadly speaking, the website can be viewed in two parts – areas for the public and a protected area for members. Since launch, the website has sparked thousands of conversations on its forums, and the team regularly create events, post vacancies, update members on pressing topics, upload resources and send out mailshots to subscribers. The site is powered by WordPress, which provides many advantages, both functionally and for AEA’s ongoing requirements for the site. WordPress is an elegant and well-architectured content management system that is standards-compliant, widely supported and hugely extendable via its plugin repository, ensuring AEA has a digital home that will cater to their needs for many years to come. 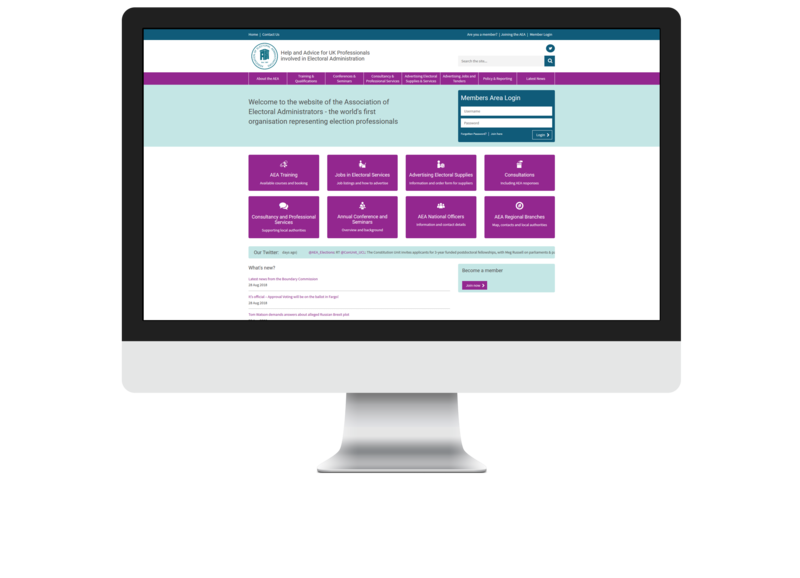 In 2018, we designed and built an intranet for AEA to help centralise their communication, foster collaboration and aid automisation. 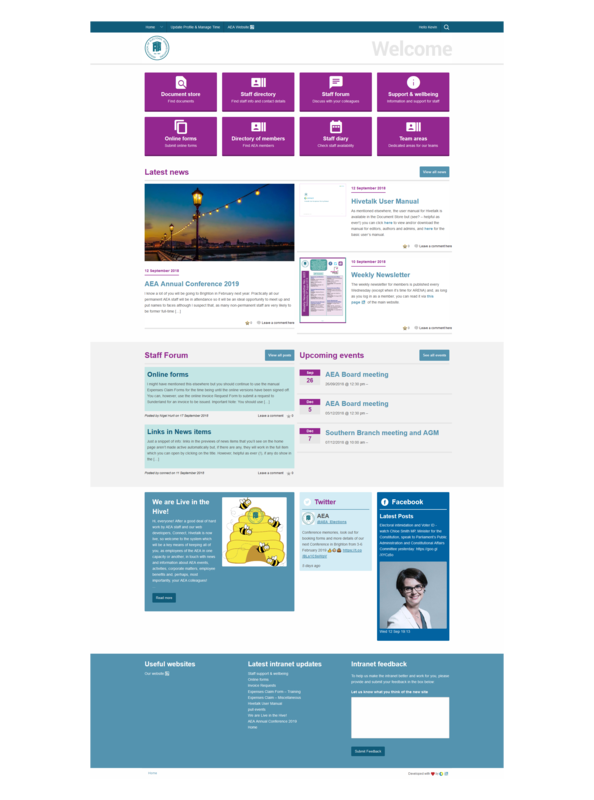 Our delivery team deployed our out-of-the-box intranet solution, Hivetalk, for the commission in a short space of time. With Hivetalk, the Association of Electoral Administrator’s employees can easily connect and collaborate, giving continuity for the work they do together. Hivetalk also makes it easier for staff members to communicate, and the ability to house files in one place, set and view working hours, initiate Skype calls and automate form submissions helps the team to work more efficiently.